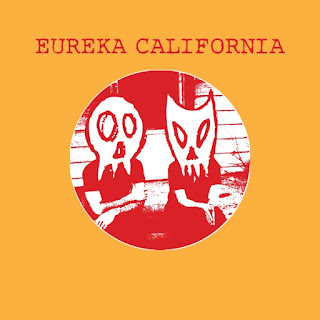 Eureka California - Only Birds No Feathers. The band had a set plan in mind when going into the studio: get in and knock it out and release a single to hold over ‘til recording the next full length. With “Versus” they went overseas to the UK and recorded with MJ at Suburban Home, but for “Wigwam” they decided to record here in their hometown of Athens, Georgia, with Dave Barbe (Sugar / Mercyland / Dave Barbe & the Quick Hooks) at his Chase Park Transduction Studio. Wasting no time, they recorded and mixed the single in one afternoon. A single on a tight budget, three tracks in under 8 minutes, hand-decorated sleeves -- everything about this is economical. Facebook here, tour dates on our tour page. Background - Hollow Everdaze have thrust back into gear for 2017 with new single "Catastrophe", an infectious slice of psychedelic-pop carved from their forthcoming album Cartoons (due for release later this year via Deaf Ambitions). Featuring a rollicking, garage-indebted hook, "Catastrophe" trades swirls of violin present in previous single "Still Ticking" for flourishes of keys and guitar-fuzz -- at times recalling moments of Dutch shoegazer Jacco Gardner. 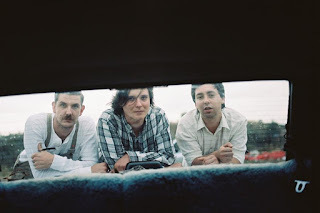 Drenched in reverbed lushness, Hollow Everdaze have been reimagining psychedelic pop since they began in 2007 by lead vocalist, Dan Baulch and bassist, Jackson Kay in their small town hometown of Bacchus Marsh in Western Victoria. The Gift - Big Fish. Background - Forward-thinking alt-pop quartet The Gift announce their eagerly anticipated album ‘Altar’, produced and co-written by music maverick Brian Eno and mixed by sonic master Flood. The band’s sixth album is set for release on their own label La Folie Records digitally on April 7th, with its physical CD and vinyl versions to follow up on 5th May. 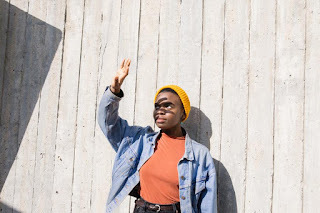 Background - At the end of February, Vagabon, the band project of multi-instrumentalist and songwriter Laetitia Tamko, released a debut album "Infinite Worlds" to considerable praise internationally. Significant support has arrived elsewhere, with Jenny Gathright at NPR calling the album "the most powerful meditation on the politics of space I've heard since Solange's A Seat At The Table." Infinite Worlds is available now via Father/Daughter Records. Vagabon is currently on a full US tour with Allison Crutchfield & The Fizz that includes shows at SXSW. 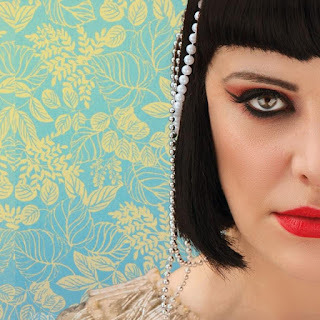 She heads to the UK and France for the very first time in May, tour dates are on the Beehive Candy tour page. Facebook here. 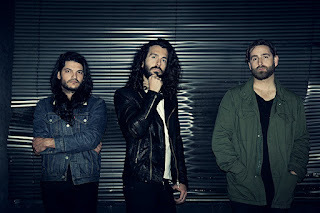 Background - Aria-nominated, Melbourne rockers Kingswood, have released their bold and daring, second album After Hours, Close To Dawn into the world via Dew Process. After selling out their hometown headline show, the band have just announced a second date for 170 Russell on Sunday, March 26, plus added an additional date for Brisbane on Saturday, April 8 at The Triffid. Kingswood also announce that they will be heading to your favourite record stores; Red Eye Records in Sydney, Jet Black Cat in Brisbane; Record Paradise in Melbourne this week for a series of in-store signings, meet and greet their friends and fans, and perform some sneaky pop-up acoustic sessions of new music from the record. 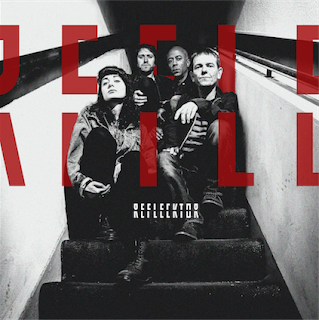 Background - Reflecktor formed in 2014 and are based in Sheffield and London. Reflecktor are Felicity Crook, John Kubicki, Jon Gray and Pete Marett, a collective of musicians, dj’s and producers creating their own brand of psychedelic indie electronica. Reflecktor aim to fuse their diverse influences from many musical genres and eras.